Vacheron Constantin gave their Overseas collection an upgrade at SIHH 2016. It’s been a year since the watches have been introduced, but I’m still just as crazy about the changes as I was when I first saw them. If you’re unfamiliar with how the Overseas collection has changed, then read on. You’ll find a complete comparison between old and new. 2015: Much more masculine with thick hands and large Arabic numerals. The bezel is not as pronounced, seeing as the new version is raised an additional level. 2016: Still considered a sports watch, but it’s more dressy with long slim hands and baton indices. The case is also streamlined and less round. It now measures at 41mm instead of 42mm. 2015: As stated above, this dial is a bit busier with large Arabic numerals. The date window appears between 4 and 5 o’clock, and there’s only one ring on the outside of dial. 2016: This dial is notably cleaner. Vacheron Constantin made the decision to remove “Automatic” from 6 o’clock and move the date window to 3 o’clock. There are now two rings, one for seconds and the other for minutes, on the outside of the dial. 2015: The 2015 Overseas used caliber 1226 SC automatic which is composed of 143 parts. It may not be the most exciting movement, but it’s thin, holds a 40-hour power reserve, and gets the job done. This watch is antimagnetic because it includes a soft iron-casing ring. 2016: Perhaps the biggest difference between the two watches is the movement. This movement uses the new self-winding caliber 5100 which is developed and manufactured in-house. It requires 172 parts and with its twin barrels, it can guarantee up to a 60-hour power reserve. This watch is also antimagnetic with the same soft iron-casing ring. Through the transparent sapphire caseback, buyers can see the 22K gold Overseas oscillating weight with the traditional Vacheron Constantin compass rose. Interested in the New Model? The new Overseas model comes in either stainless steel or pink gold. The stainless steel watches are available with a sunburst blue, silver, or brown dial. In addition, the stainless steel watches are delivered with three interchangeable straps/bracelets. 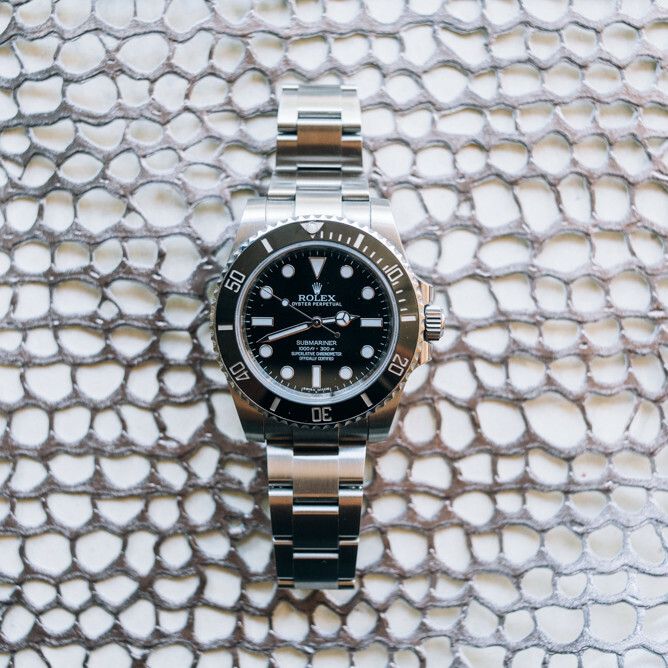 If a buyer chooses the blue dial, the watch will come with a stainless steel bracelet, a hand-stitched blue alligator leather strap, and a blue rubber strap. The rose gold watch comes with a sunburst silver dial and two interchangeable straps: a brown leather strap and a brown rubber strap. The variety of straps, for both the stainless steel and rose gold, ensures that this watch is ideal for nearly every occasion.